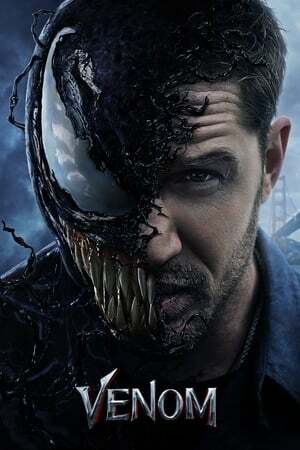 When a shuttle crash lands into Malaysia that had harvested alien life forms for Carlton Drake’s (Riz Ahmed) company to be used eventually on humans, our unsuspecting hero, Eddie Brock (Tom Hardy) a journalist stumbles upon this truth and upon attempting to expose this inhumane act to the world, he inadvertently gets exposed to the alien entity that latches onto him and they become Venom - a super powered creature that can mutate its physical form into any form or shape it desires along with super strength and stamina. The movie starts off shaky at first with the acting a bit scattered, especially from Michelle Williams (very uncharacteristic as she’s normally so solid) who plays Eddie’s girlfriend but after the 30 minute mark, when the story begins to settle, everything starts to improve astronomically especially the acting from the cast and the story gets really fun and exciting. Great chase scene along downtown San Francisco that was visually spectacular and imaginative showcasing the beauty of the City at night time. Definitely the highlight of the film! As this movie is part of the Marvel Universe, I feel like it could work as a stand alone film as it didn’t require one to know anything about the M.U. Overall, it’s a fun adventure romp with goofy elements and another winner due in large part to Tom Hardy’s acting chops.